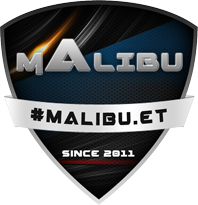 Ladies and Gentlemans, I'm happy to finally announce the mAlibu 3on3 LAN Team. Quote kApot: Gewoon slopen, niets meer niets minder. We can't wait to see you guys on the battlefield! 10/10 will see you lan and probably beat you 3 at drinking. Legends, een eer om in jullie tijd te leven.